In the year 2135 the Earth is rapidly dying, leaving all life on the planet, human or otherwise, threatened with certain extinction. The world's governments have been transferring life to the moon to escape but the moon does not have the necessary atmosphere to contain life for the long term. 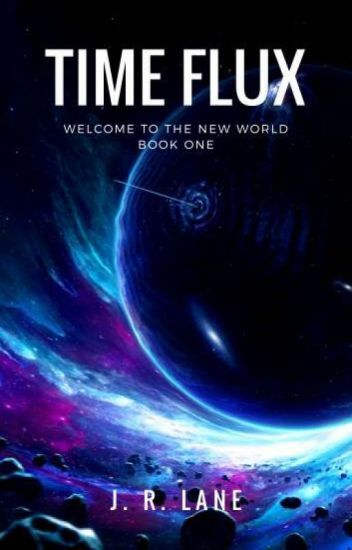 A brilliant scientist has created a way to travel in space instantly and with her small team she has decided its time to activate the experiment for the first time. But it doesn't quite go to plan. Pete is the captain of a generation ship that has traveled the lightyears from ruined earth to its destination system. He enjoys the privileges of his rank, unwilling to risk them by attempting a landing on the planet they have been orbiting for years. Ralph, his younger brother, has spent his life in Pete's shadow, tinkering with the half-forgotten technology of their starship. And he is eying the planet below them with longing. He decides that it is time to start the descent. The starship's name is Last Hope. The final steps of its journey and the first steps on new soil are a deadly dance to the tune of a conflict between the two brothers. 18-year-old Nicholas Mason is a fairly average teenager from the small town of Aberdeen, Washington, in his final year of high school. When an earthquake awakens him at a senior party he attends with his two closest friends, they find themselves face-to-face with a powerful starship created by an ancient civilization - a Caveship. Taken aboard against their will, Nicholas and his friends find themselves traveling farther and farther away from Earth, while the starship automatically pilots itself toward some unknown destination. Now, Nicholas and the group of teenagers must work together to find a way back home, facing incredible dangers on strange alien worlds, all while at the mercy of a starship hellbent on reaching its target. Copyright © 2018 by E.R Maloza. All rights reserved. Maggy is a young woman who's lived all of her life on the space station, Spectral 7, until now. A planetary landing on the habitable world called Gaia is underway. When an attack in the middle of the landing takes the life of the only person she can call family, Maggy is forced to forge her path in this new world with a life-long family friend, and the new friends they make on it. In the meantime, the commander of Spectral 7 begins to work fervently to discover all the young adults with the lumen gift within them. The inhabitants of Gaia must be ready, for those who attacked the planetary landing will surely return.